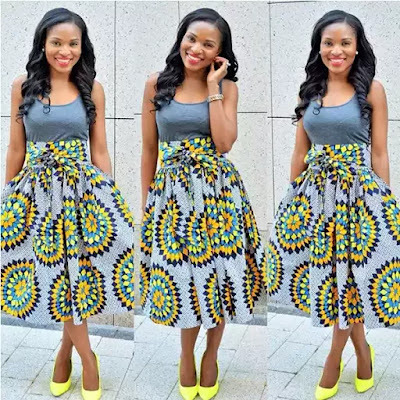 Ankara Flared-Skirts are Elegant and Magnificent. 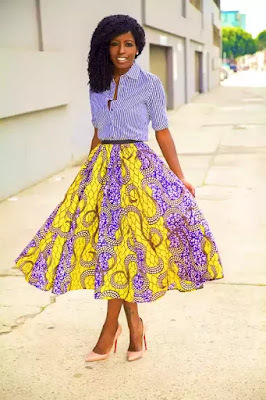 Ankara flared-skirts are elegantly beautiful and magnificent, quote me anytime and anywhere, i'm definitely not exaggerating. If you are looking for that one perfect outfit that you can be very comfortable in, at the same time. 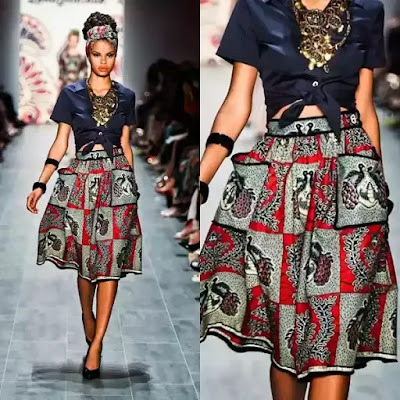 Then ankara flared-skirts should catch your fancy and will rock your boat well. 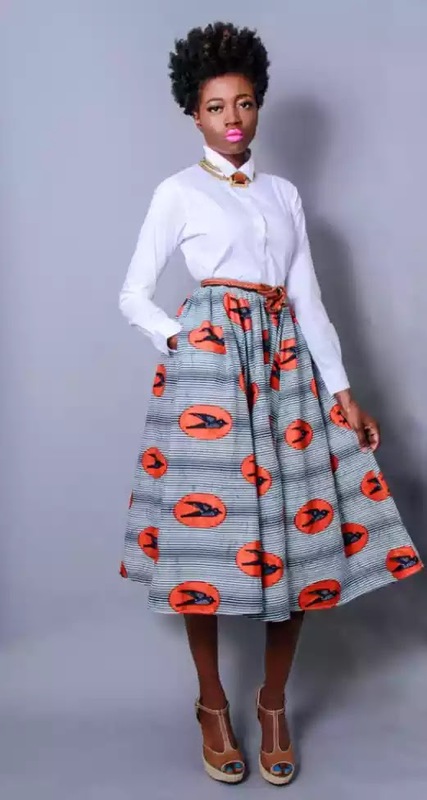 You can pair it with any nice top or shirt that matches it perfectly. 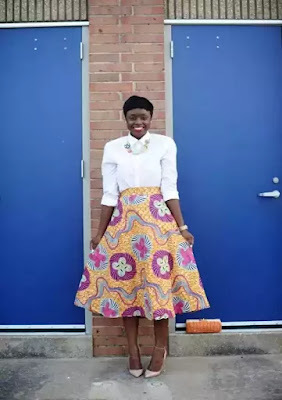 Then be sure to have that carefree attitude all day long because you should obviously be looking fabulous! 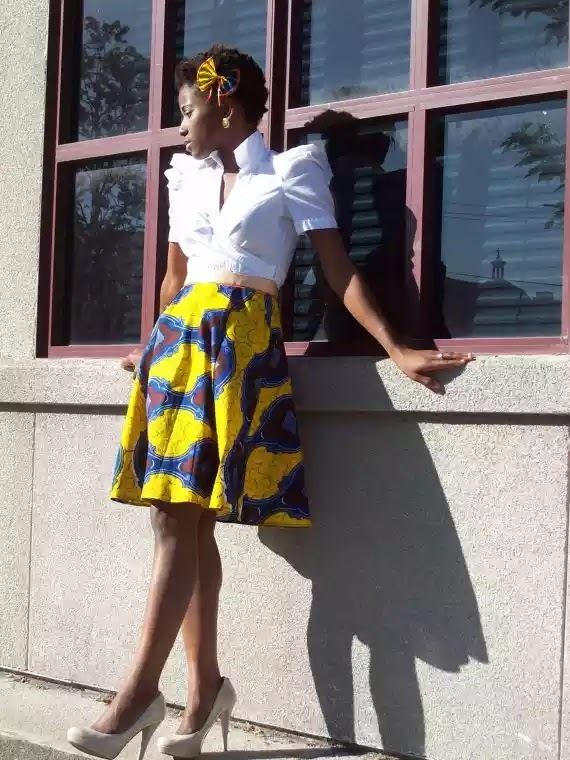 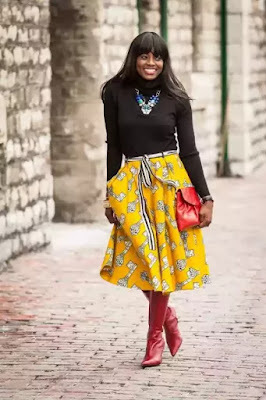 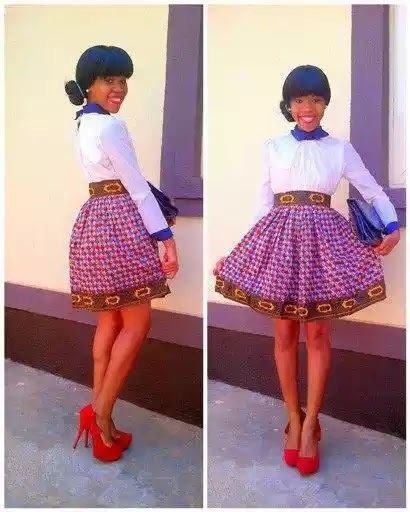 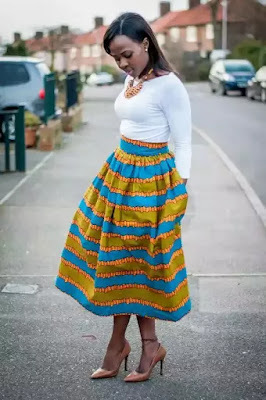 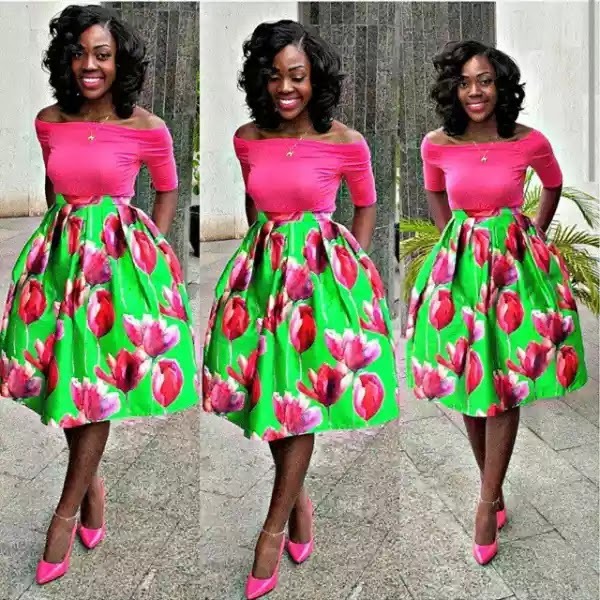 Check out some ways to pair Ankara flared-skirts after the cut..